Oligiopeptide-Enzymatic Technology™ (potassium hydroxide, stearic acid, carboxymethylcellulose sodium, crospovidone, natural waxes, carboxylic acids, Polyethylene Glycol, dicalcium phosphate), Maltodextrin, citric acid, natural and artificial flavors, malic acid, silica, fiber blend (cellulose gum, xanthan gum, carrageenan gum), sucralose, acesulfame-K, FD&C Blue No. 1. Oligiopeptide-Enzymatic Technology™ (potassium hydroxide, stearic acid, carboxymethylcellulose sodium, crospovidone, natural waxes, carboxylic acids, Polyethylene Glycol, dicalcium phosphate), natural and artificial flavors, citric acid, malic acid, fiber blend (cellulose gum, xanthan gum, carrageenan gum), sucralose, acesulfame-K, FD&C Blue No. 1, FD&C Red No. 40. Oligiopeptide-Enzymatic Technology™ (potassium hydroxide, stearic acid, carboxymethylcellulose sodium, crospovidone, natural waxes, carboxylic acids, Polyethylene Glycol, dicalcium phosphate), Maltodextrin, natural and artificial flavors, citric acid, malic acid, silica, fiber blend (cellulose gum, xanthan gum, carrageenan gum), sucralose, acesulfame-K, FD&C Blue No. 1, FD&C Red No. 40. Oligopeptide-Enzymatic Technology™ (potassiumhydroxide, stearic acid, carboxymethyl cellulose sodium, crospovidone, natural waxes, carboxylic acids, polyethylene glycol, dicalciumphosphate), citric acid, sodium bicarbonate, natural and artificial flavors, sucralose, turmeric powder, and red beet juice powder. Oligiopeptide-Enzymatic Technology™ (potassium hydroxide, stearic acid, carboxymethylcellulose sodium, crospovidone, natural waxes, carboxylic acids, Polyethylene Glycol, dicalcium phosphate), Maltodextrin, citric acid, natural and artificial flavors, malic acid, silica, fiber blend (cellulose gum, xanthan gum, carrageenan gum), sucralose, acesulfame-K, and FD&C Red No. 40. Oligopeptide-Enzymatic Technology™ (potassiumhydroxide, stearic acid, carboxymethyl cellulose sodium, crospovidone, natural waxes, carboxylic acids, polyethylene glycol, dicalciumphosphate), citric acid, sodium bicarbonate, natural and artificial flavors, sucralose, red beet juice powder, and spirulina blue extract. Oligiopeptide-Enzymatic Technology™ (potassium hydroxide, stearic acid, carboxymethylcellulose sodium, crospovidone, natural waxes, carboxylic acids, Polyethylene Glycol, dicalcium phosphate), Maltodextrin, citric acid, natural and artificial flavors, malic acid, silica, fiber blend (cellulose gum, xanthan gum, carrageenan gum), sucralose, acesulfame-K, FD&C Yellow No. 5, and FD&C Red No. 40. Oligiopeptide-Enzymatic Technology™ (potassium hydroxide, stearic acid, carboxymethyl cellulose sodium, crospovidone, natural waxes, carboxylic acids, polyethylene glycol, dicalcium phosphate), maltodextrin, natural and artificial flavors, citric acid, fiber blend (cellulose gum, xanthan gum, carrageenan gum), malic acid, sucralose, acesulfame-K, silica, FD&C Blue No. 1. Oligopeptide-Enzymatic Technology™ (potassiumhydroxide, stearic acid, carboxymethyl cellulose sodium, crospovidone, natural waxes, carboxylic acids, polyethylene glycol, dicalciumphosphate), citric acid, sodium bicarbonate, natural and artificial flavors, caramel color powder, and sucralose. Oligiopeptide-Enzymatic Technology™ (potassium hydroxide, stearic acid, carboxymethylcellulose sodium, crospovidone, natural waxes, carboxylic acids, Polyethylene Glycol, dicalcium phosphate), Maltodextrin, citric acid, natural and artificial flavors, malic acid, fiber blend (cellulose gum, xanthan gum, carrageenan gum), sucralose, acesulfame-K, FD&C Yellow No. 5, FD&C Blue No. 1. Oligiopeptide-Enzymatic Technology™ (potassium hydroxide, stearic acid, carboxymethylcellulose sodium, crospovidone, natural waxes, carboxylic acids, Polyethylene Glycol, dicalcium phosphate), Maltodextrin, natural and artificial flavors, citric acid, silica, malic acid, fiber blend (cellulose gum, xanthan gum, carrageenan gum), sucralose, acesulfame-K, FD&C Red No. 40. Oligopeptide-Ebnzymatic Technology&trade (potassium hydroxide, stearic acid, carboxymethylcellulose sodium, crospovidone, natural waxes, carboxylic acids, polyethylene glycol, dicalcium phosphate), maltodextrin, citric acid, natural and artificial flavors, amlic acid, silica, fiber blend (cellulose gum, xanthan gum, carrageenan gum), sucralose, acesulfame-K, and FD&C Red No. 40. Oligopeptide-Enzymatic Technology (potassium hydroxide, stearic acid, carboxymethylcellulose sodium, crospovidone, natural waxes, carboxylic acids, polyethylene glycol, dicalcium phosphate), maltodextrin, natural and artificial flavors, citric acid, malic acid, fiber blend (cellulose gum, xanthan gum, carrageenan gum), sucralose, acesulfame K, FD&C Blue No. 1, and FD&C Red No. 40. All about being a far better model. 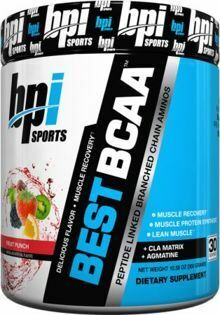 One more thing - for maximum potential benefit, the oligopeptide branched chain amino acids in BEST BCAA are delivered via complex bio-active oligopeptide-Enzymatic Technology. Arctic Ice This is a Buy 1 Get 1 FREE offer! Blue Raspberry This is a Buy 1 Get 1 FREE offer! Cream Soda This is a Buy 1 Get 1 FREE offer! Grape Soda This is a Buy 1 Get 1 FREE offer! Green Fusion This is a Buy 1 Get 1 FREE offer! Orange Soda This is a Buy 1 Get 1 FREE offer! Root Beer This is a Buy 1 Get 1 FREE offer! Sour Candy This is a Buy 1 Get 1 FREE offer! Blueberry Lemonade This is a Buy 1 Get 1 FREE offer!